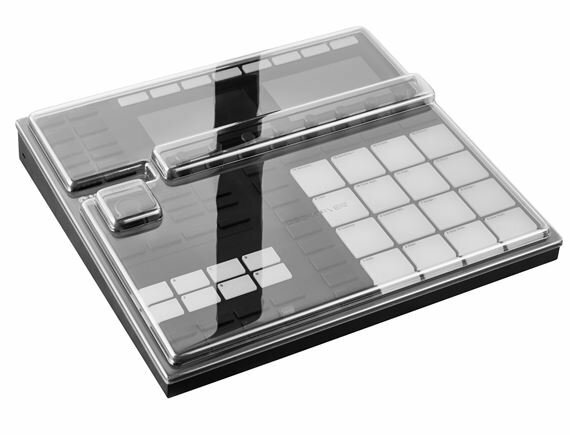 Order your Decksaver Cover for Native Instruments Maschine MK3 from AMS and enjoy Fast & Free Shipping. Get the Best Deal with our Lowest Price Guarantee & Great Customer Service! The Decksaver is engineered specifically for the Maschine MK3 controller. Super durable polycarbonate shell offers protection from dust, spillages and accidental impact. Each Decksaver is trimmed precisely to fit, leaving cables in place. Slides straight into a flight case or controller bag, perfect for transportation. Shields delicate faders and controls from damage on the road, at home or in the club. Perfect fit and keeps the dust out. Grate love it does the job perfectly.